Henry Morton, an impulsive husband is unhappy about his wife's nagging. Henry just wants to go fishing. Little things thwart him: Maxine the maid makes noise, Sonny, a lad in the household, makes a mess, and Henry's wife wants the car for shopping. A newly arrived friend, Bert suggests to Henry to fake his death and then returns to his home posing as a Britsh valet to see firsthand his family's reaction to his "death". They'll mourn and the truth can later be revealed. Sonny hears the entire plan and alerts Henry's wife and the rest of the household. Only Maxine, the maid, is in the dark. Henry's wife gives the valet an attic room, throws herself in his arms, complains about her late husband, and sends Henry into a tizzy. Unaware that they are on to his scam, Henry is shocked that his wife appears to have forgotten him already. Hoping to scare her into shame, he goes out and returns home yet again, as his own ghost. Wearing the most unconvincing disguise imaginable, Henry is not fooling anyone except Maxine the maid, and Mr. and Mrs. Morton are soon cheek to cheek again. 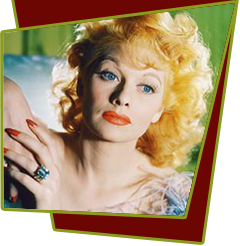 Special Notes: Lucille Ball had a chance to expand her range in this short subject film. Unlike her many stylish, smart-alecky characters of this period, here she played a jumpy, featherbrained maid with messy hair who flutters about the house giggling and hoping to get an earful of Leon Errol's British accent.